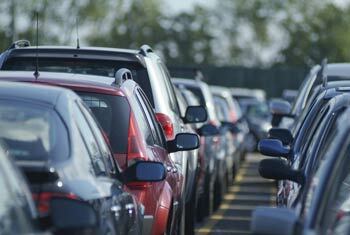 Book your Stansted airport parking in advance and avoid an unpleasant surprise when you arrive at the airport. If not, that unpleasant surprise could take the form of a £91 charge for a week's parking. Compare that with the price you pay when you book in advance - our prices for Stansted airport mid and long-stay parking start from just £52.00 for eight days' parking. Absolutely. The two packages we sell at Stansted - the Stansted Long Stay car park and the Stansted Mid Stay car park - are both official car parks within the airport grounds. They're both manned 24 hours a day, regularly patrolled and protected by CCTV, entry and exit barriers, fences and lighting at night. 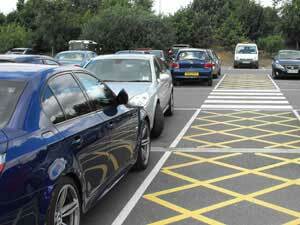 In addition, both car parks have been awarded the Park Mark security award. The only difference between our two Stansted car parks is their distance from the terminal. Stansted Long Stay parking is 15 minutes from the terminal, and transfers run every 20 minutes. Stansted Mid Stay parking is five minutes from the terminal, and transfers run every 10 minutes. The Mid Stay car park tends to be more expensive than the Long Stay; at the moment eight days' parking costs £52.00 at Stansted Long Stay, and £52.00 at Stansted Mid Stay. We offer SuperSaver packages at both Mid Stay Stansted and Long Stay Stansted. These are even cheaper than our normal prices - but once you've made your booking, you can't change or cancel it. While we don't sell the Stansted Short Stay car park, we do sell a Meet and Greet service with Stansted Official Valet Parking. Your car is collected from outside the terminal by a driver who will park it in the Short Stay car park, which is fully secured, while you're away. 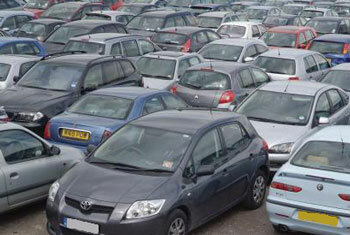 When you return from holiday, just walk across to the Short Stay car park to collect it. Although it's a Meet and Greet service - traditionally the most expensive kind of airport parking - Stansted Official Valet Parking can sometimes be cheaper than parking at Stansted Short Stay. When you've chosen your Stansted airport car park, we'll offer you a variety of upgrades to add to your booking. You can book yourself into a Stansted airport lounge, get traffic updates by text on the day you travel, and arrange your holiday currency and holiday insurance. We'll also offer you the opportunity to change the package you've chosen. For example, if you've booked a SuperSaver package, we'll give you the chance to revert to the normal package, which you can change or cancel if need be.